Constantly striving to improve the experience of their customers and the quality of their products and services, Greif decided to consolidate two operations in the state of Sao Paulo, Brazil. 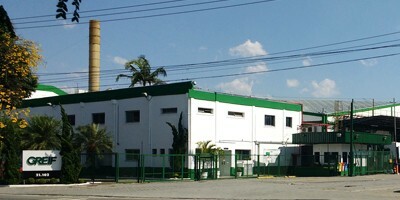 Greif moved its plastic plant from Osasco into a separate building adjacent to the Santo Amaro Plant. The Santo Amaro plant manufactures large and intermediate steel drums and houses Greif’s Latin American and Brazilian headquarters. This decision was made to take advantage of the proximity to the corporate management of Greif Brazil and Greif LatAm located at the Santo Amaro site, thus promoting synergy and a faster decision making process for the Brazilian market conditions which values the flexibility and attention giving prompt response times for their customers’ needs. This investment, aiming to the future, is focused on energy efficiency and sustainability with the installation of chillers and a water cooling system that has never before been seen within a Greif LatAm plastic operation. Additionally, this plastic facility is better prepared for the FSSC certification (Food Safety System Certification) and registers with a fully independent resin feeder center to avoid contamination and preserve the integrity of the packaging. The project also includes the installation of modern air compressors which provide greater stability in the production process meeting the customers’ stringent packaging specifications. This new plastic site is capable of producing packaging ranging in size from 500 ml to 20 liters with mono, coex, or triex technology, depending on the package size. The plastic and steel operations in Santo Amaro are in two separate buildings divided by a trucking logistic area. “The operations are physically independent, but connected to the support of our management team, as all managers and processes are fully dedicated to providing the best possible experience for our customers!” explained Eduardo Simoniello, President of Greif Latin America. For more information about this Greif plastic operation in Brazil, contact your Greif representative or schedule a visit.